It was a relatively quiet month on the tech news front in Africa, yet August still saw some notable rollouts and another bumper package of funding rounds for the continent’s startups. Perhaps the biggest news of the month was the revelation that Chinese phone maker Xiaomi will be arriving in Africa in September after appointing a distributor. Another major player making strides in Africa is Google, which not only launched its Transit service in Kenya during August but also expanded its Android One programme to Nigeria, Ghana, Ivory Coast, Kenya, Egypt and Morocco with the launch of the Infinix HOT 2. Naspers, meanwhile, has taken the fight to Netflix before it even lands in Africa, with the launch of internet streaming service ShowMax. ShowMax offers over 19,000 episodes of different TV shows, and is available initially in South Africa. Elsewhere, taxi app Uber partnered with Airtel in Kenya to offer free Wi-Fi in cars, while Indian mobile handset manufacturer Intex Technologies arrived in Ivory Coast via a partnership with e-commerce firm Jumia. Amazon revealed it will be expanding its presence in South Africa by opening a new office in Johannesburg for Amazon Web Services (AWS), while Intel launched a Developer Zone in Lagos, Nigeria. It wasn’t just the likes of Google and Amazon that had expansions and rollouts to announce. South African price comparison site Click n Compare made entries into its first other African countries with launches in Nigeria and Kenya, which included the acquisition of a competitor in the West African country. After an agreement with mobile operator Airtel, diesel delivery app Yuzah went live in Nigeria, offering users an Uber-style way of ordering petrol in a country where shortages are a regular occurrence. Software training startup Andela, until now only active in Nigeria, took its first batch of developers into its Kenyan programme, with the aim of developing them to be able to work for Fortune 500 companies. Finally, South African price comparison startup PriceCheck partnered mobile payments app SnapScan to offer offline stores and easy way of selling online without having to build an e-commerce site. It is almost becoming a regular occurrence to say ‘African startups received yet more funding,’ and August was no different. In fact, it was perhaps even more impressive. Fintech startup Awamo, which offers tech solutions to microfinance institutions, closed its first funding round, raising US$550,000 in order to launch its mobile and biometric all‐in‐one‐solution for lenders in Africa, with Uganda the first port of call. There was an even more impressive round from Egyptian jobs site WUZZUF, which wrapped up US$1.7 million from US and European investors and will now put in place expansion plans. In Ghana, funding came from an unlikely source for photo app Suba, in the form of legendary “hiplife” musician Reggie Rockstone. Suba is a location-based iOS and Android app that allows everyone at social gatherings to see and share photos in one central photostream. It is now set to roll out further in Ghana before looking further afield. Financial services platform TopCheck topped the million dollar mark, raising US$1.15 million from a variety of funders for its own expansion, while South African content delivery startup Jottr raised US$1 million of its own, coinciding with the launch of its new iOS app. 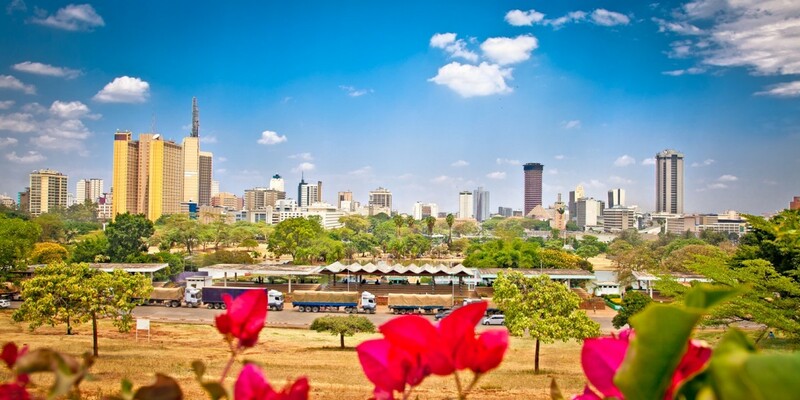 Another South African company, mobile rewards platform TuYu, was partially acquired, while there was also a funding round for Kenyan fintech startup Shield Finance. Some startups are even getting a bit too big for their boots, with microjobbing service M4JAM acquiring digital research firm Pondering Panda after little over one year in business. This level of development will only continue if support and funding keeps coming. And it seems like it will. Convergence Partners has put US$20 million into Nigeria VC firm Venture Garden to allow it to expand its sphere of investments, while new accelerator programmes include an e-health incubator in Cape Town, a university-run programme in Kenya, a BoP accelerator in Johannesburg, and even a Bitcoin Academy. African startups are beginning to look further afield as well. VC firm Nest, which launched in Africa in July, has partnered two African co-working spaces to offer startups a soft landing if they wish to launch operations in Hong Kong, while two African startups are already taking part in a Nest programme there, in partnership with DBS Bank. African companies are heading to the US too, with South African startup Tuse set to join Founders Space, and SweepSouth (South Africa) and Kudobuzz (Ghana) the latest businesses from the continent to join 500 Startups.